Your name and email address, no credit card for the free trial. 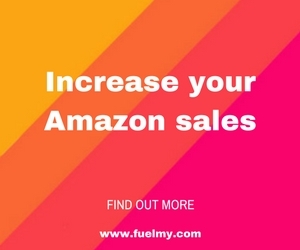 FeedbackTuner is focused on helping Amazon Sellers automate their email campaigns, double the amount of feedback you get all while boosting your sales. All this by using automation and a support team so as to not add a ton of work to your already busy schedule. The core of their service is email automation to get more reviews, which should help you rank better in searches, which has been shown to boost sales. It’s not enough today to just expect customers to come back to Amazon and write organic reviews. You have to remind them, and FeedbackTuner’s automated email system can do just that. They have proven email templates to help you get up and running, and offer support for when you may need it. A few of their plans come with an Onboarding Consultant so you don’t have to be an email or copywriting expert. This can be handy if this is your first rodeo, so to speak. Their email features list appears to be quite robust, with things like blacklisting emails, an email editor, adding images to the emails, ASIN/SKU Specific Campaigns, tracking open rates and more. The free plan gives you access to a lot of these features. Tell them The Reviewer Collective sent you! Learn more and sign up on their website.